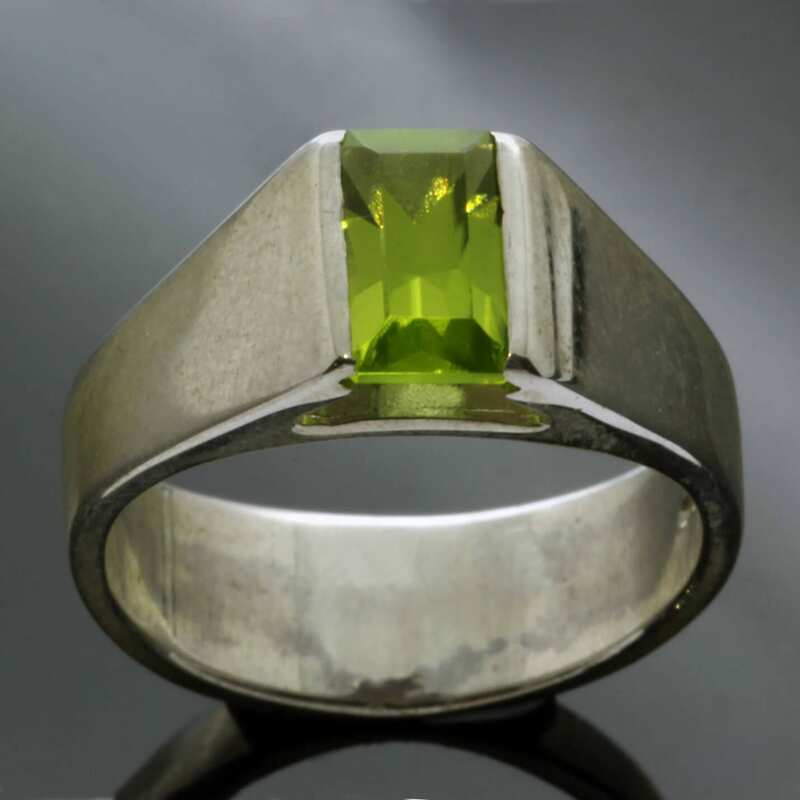 A glorious Baguette cut Peridot gemstone creates a beautiful centrepiece for this chic, contemporary cocktail ring. 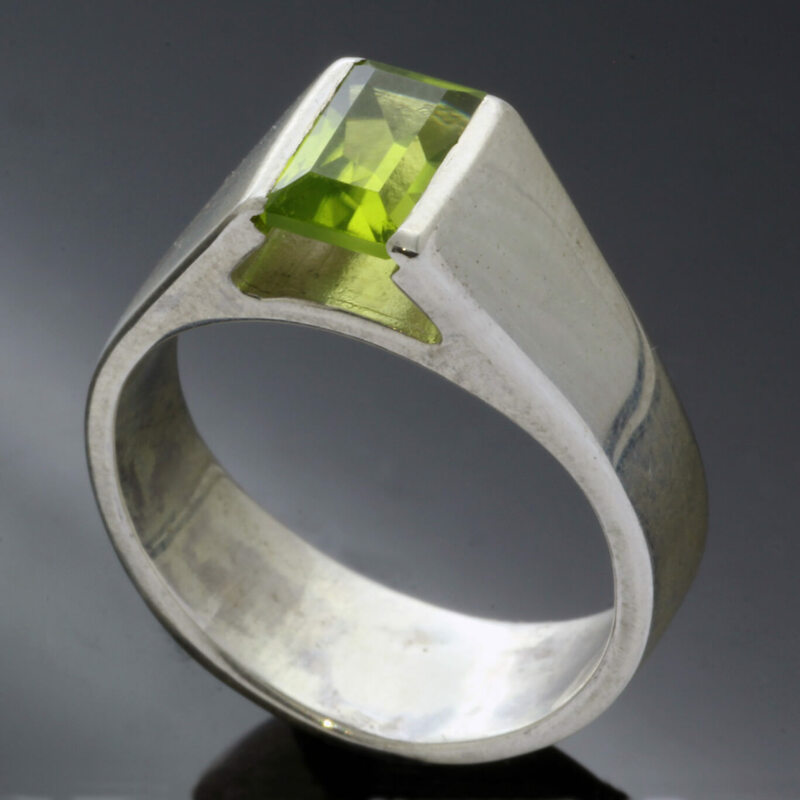 This contemporary ring design highlights the beautiful materials used to create it, showcasing a stunning Baguette cut Peridot in a bright, vibrant grass green hue. The gorgeous faceted Peridot gem is expertly tension set in a raised setting to enhance the zesty green tones and sparkles of the faceted gemstone. The expertly hand set gemstone is then attached to a solid Sterling Silver chunky ring shank and hand polished for a high gloss finish to complete this chic design. 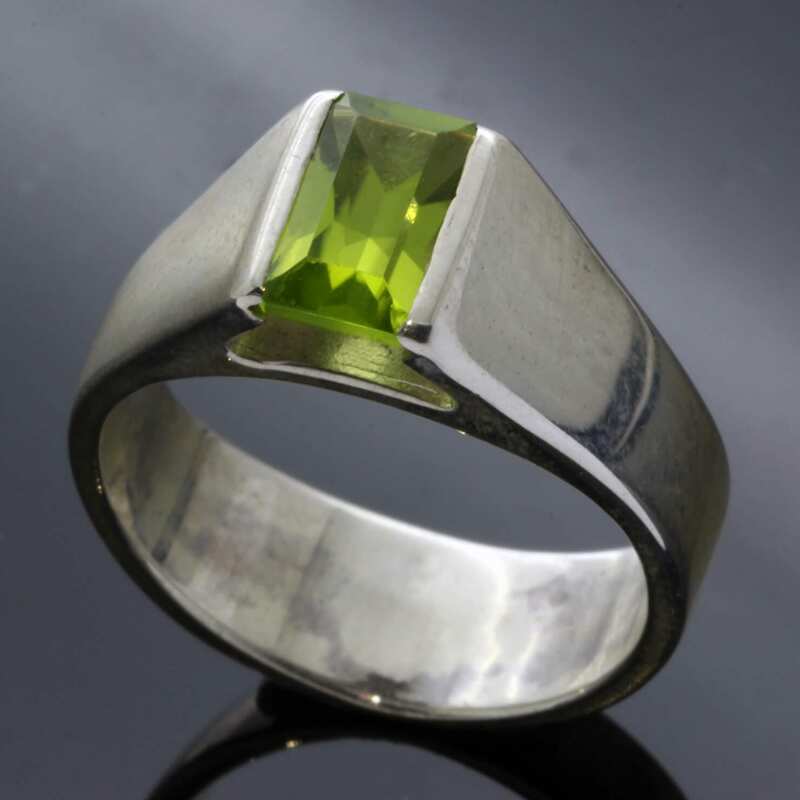 The Peridot cocktail ring has been meticulously hand crafted by our master Goldsmith Julian Stephens from his Brighton workshop and proudly bears his exclusive makers mark and Hallmarks as an indication of its thoughtful design, quality materials and execution.